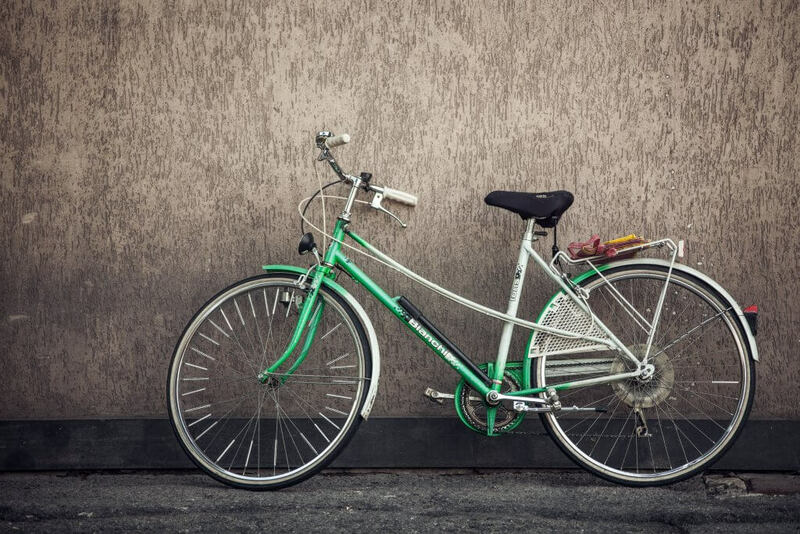 Bicycles are becoming increasingly popular as the new age of conserving the energy and the environment has taken importance over having a car in the city. Because of this, the creation of the Best Bike from manufacturers is at an all-time high, and now, there are even more types of bikes to choose from. In this article, we’ll discuss the various types of bikes and how they compare to one another. How far are you going with your new bike? What kind of terrain are you biking on? Do you ride with others? What do you friends ride with? One of the first bikes we’ll discuss is one of the more common bicycles: the road bike. It’s no secret that the aforementioned type of bicycle is primarily meant to be ridden on pavement for a smooth and fast ride. There’s a specific design for the handlebars that ensures optimal on-road racing. It’s worth mentioning that the design of this bike isn’t truly meant to be on anything but smooth pavement. While you may be able to go slow, the decline of the handlebars in comparison with the height of the seat means that the rider will be in a downward position to ensure optimum sleekness and airflow as they ride. Because they need streamlined movement down the pavement, they’re typically lightweight and are not meant to carry large loads of accessories or groceries and filled baskets. If you need something that gets you from point a to point b (like to the store), you may want to look into another bike; don’t fret, though, as we’ll be covering quite a few. Unlike many other styles of bicycles, ones that are road bikes often have much thinner tires and a very light tread. Those that want to go riding in the snow shouldn’t look towards a road bike, as you won’t good enough tread or traction to get you out of those kinds of situations. Optimized for being a much better ride on pavement that’s smooth, typically the tire of a road bike isn’t any wider than the measurement of 32mm, and you’ll see that these tires are much more narrow than non-road bikes. The tread on these tires are typically much lighter, and you may see that some don’t even have any tread at all. Some even come with tires that are bald to ensure that the rolling resistance is trimmed down. While the ride may e find on packed dirt or something just as harsh, the ride will be equally as harsh because the bike isn’t meant for such rough terrain. You may see that the control of the bike on this type of terrain isn’t ideal and you may lose control. The next type of bike that’s under the “road bike” umbrella is the cyclocross bike. Initially, you may find that a cyclocross bike is one that looks similar in shape to a typical road bike, but the tires look much thicker. The normal composition of a cyclocross bike is capable of riding on a variety of surfaces in comparison with the aforementioned. In fact, this type of road bike is capable of riding on a variety of pavements, unpaved trails, grass, types of gravel, and combination pavement. You don’t have to ride on the smoothest surfaces, but you shouldn’t be running on mountainous terrain and expecting the work of a mountain bike. Unlike the previously mentioned bicycle, you’re able to carry a bit more weight on the average cyclocross bike, and they can carry loads that are light. Typically, the style of brake that comes within this type of bike is able to prevent the build-up of mud and whatnot to ensure the best riding and the optimal performance of the frame. Like the last, this bike has a type of drop handlebar for streamline riding. If you’re searching for a cyclocross bike, you may end up seeing it as “CX” on some listings instead of the full name. We should mention that your core strength must be pretty good to successfully ride on this type of bike without harming yourself, especially on the variety of terrain that this bike allows you to ride on with ease. Normally, you can ride on pavement, sand, mud, and even woodland, unpaved areas with ease. Because of their ability to be so versatility, they’re becoming much more popular. It’s worth noting that if you don’t like riding that’s fast paced, you may not enjoy the riding you’ll receive from the cyclocross bicycle, as it’s typically more frantic in pace. Unlike some other bikes, you don’t have to put away cyclocross bike during the wintertime! You can actually use this bike year-round with ease, and because of its versatility, you can use this during all seasons for commuting with optimal efficiency. Definitely, the best bike to use during winter. Let’s discuss touring bicycles next. Also listed under the “road bike” umbrella is the touring bicycle. A very specific style of road bike with a slightly different handlebar design than the aforementioned, but the overall design is much better for those that want long-distance riding, especially those that are self-supported. The true difference between this bike and others you may see is that it comes with cargo racks and mounting bolts for optimal riding and carrying. There’s a type of drop handlebar, but it’s not nearly as extreme as the ones we’ve mentioned. There are even fenders for versatility. The design of this bike is more relaxed than the other two mentioned, and you don’t need to be an extreme angle to successfully ride this bike and get the most out of it. 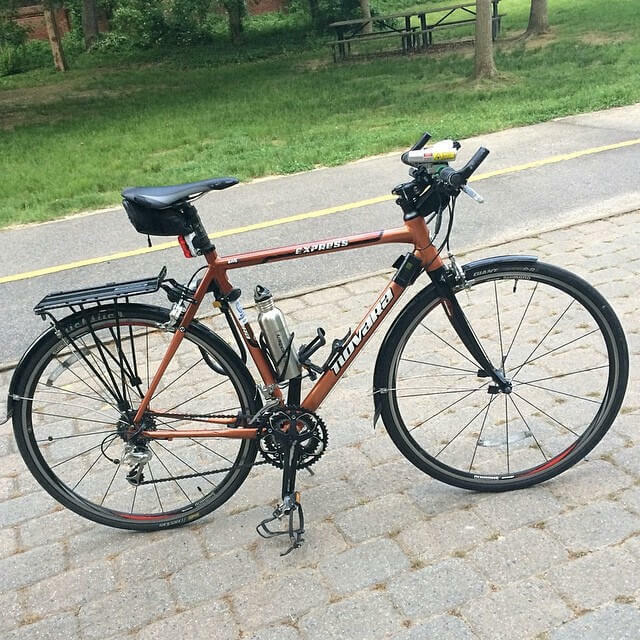 The gear range on this style of bike is typically much lower in comparison with other road bikes because they can carry larger loads up hills that are a little steeper. I think this is the best bike for those who want to commute to work or the gym (or wherever) will find great success with this bike. Road touring: Typically, the frame is geometrically designed to ensure a stable ride that’s more comfortable than not, especially when you’re carrying around baggage of sorts on the panniers and racks that are mounted or carrier racks. Sport touring: Another type of touring bike, the sports style is a type of bike that’s lightweight and has wheels and a frame that are lighter and more narrow. Because you’re able to handle this fast and well, the responsiveness of the sport touring bike is quite desired, but it’s worth mentioning that this style of touring bike isn’t meant for larger loads and it should really only be the rider on the bike. Expedition touring: A lot longer in description than the aforementioned, the expedition touring styles of bikes are meant for carrying larger loads, and you may see an incredible amount of variations of this bike. You may note this as a stronger version of a mountain bike because they can go on rougher terrain. Created out of heavy tubing and large wheels, the maintenance of this style of bike is much easier than others and is a primary reason (besides weight bearing) why it’s chosen to be used. 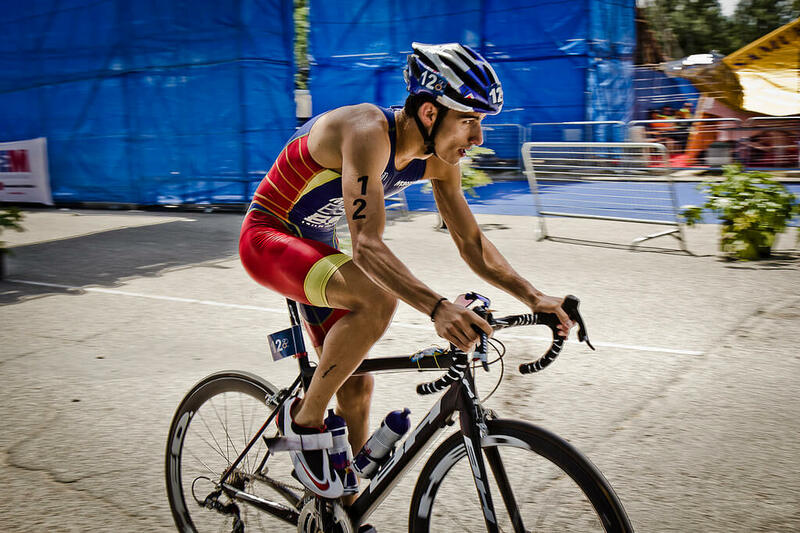 Looking for a triathlon bike? Look no further. If you’ve never used a triathlon bike, or what’s known as a “time trial” bike, you may not understand the design of this next bike, as it looks short and stumpy, however, the design actually plays into the success of riding and will allow you to ride with ease, simplicity, and success. Because of the design, the ride will get the most out of the aerodynamic properties. There are special handlebars that ensure that the design is fully utilizing the aerodynamics of the architecture, and you’re going to be crouching a bit more forward as you’re riding. In doing so, you’ll be able to minimize the resistance of the wind against the body. It’s worth mentioning that these bikes typically aren’t allowed to be used in mass-start races. Overall, the general idea of a triathlon bike is that the position and aerodynamics are meant to put your elbows at a rest style with the handlebars. Because of the ease of facilitating the transition when cycling to running, they are better for usage than road bikes if triathlon styled races are what you’re primarily participating in. Because of the aero handlebars that are installed on a normal triathlon bike, you’re able to sit lower and even a bit more narrow, to ensure better aerodynamics when you’re participating in a triathlon or race of some sort. The narrowness allows the spread of the arms to be a bit better with the drop of the handlebars. The support of the upper body is extremely focused and important, and this is why I consider this the best bike if you need something that will endure a lot of mileage. 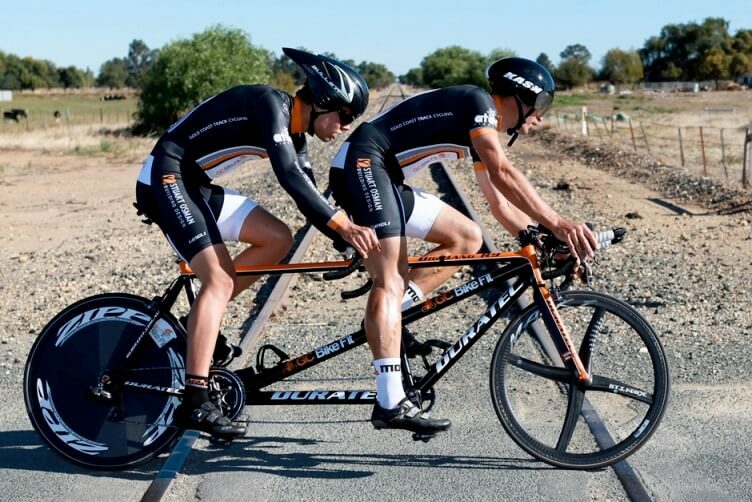 The design of the triathlon bike is done to reduce the issues seen on normal road bikes with the position of the rider and comfortability, along with the lining up of the entire body. In having these aerodynamic features that are comfortable for the rider, the risk of exhaustion and harm is reduced immensely. Next on our list is a flat-bar bicycle. Another style of road bicycle, the above mentioned is a flat bar style of bicycle, and is typically designed for those that want an extremely lightweight, but high-performance bicycle that doesn’t have the style of handlebar that’s known as drop bar. Typically riding in the same style of a normal bike, this bike is also known as a type of performance hybrid, or a style of fitness bike. On this bike, you’ll see tires that are more narrow for the optimal efficiency on styles of pavement. The handlebar typically is known as upright or even as flat – depending on the type you purchase and your preference. Typically, a flat bar bicycle is also known as a style of fitness bike that’s been constructed to ensure the lightweight or middleweight design of the bike promotes a posture that’s aerodynamic and even a tad aggressive, especially at speeds that are higher than your average bike. As you may have already understood, the best bike for exercice is this one. If you’re wondering about conventional suspension for the wheels, you won’t have to worry about this, as there is none for either wheel on a standard flat-bar bicycle. If you still can’t picture what this style of bike may be, you may find solace in knowing that the style is more relative to styles of hybrid bikes that are upright. Normally, a flat bar bike is lighter and has a pedaling that’s much more efficient than those that are not, and they have advantages of aerodynamics that are considerable in comparison with non-drop bar bikes. While normal hybrid bicycles will have some sort of capabilities when it comes to off-roading, to get the most out of aerodynamics and off-roading, a flat bar fitness bike may be the best option for you. There is something you may want to know: there is a linear pull that’s built-into the flat bar bike. The aforementioned type of mechanism is typically not seen in any type of road bike and is replaced or substituted in mountain bikes with a style of disc. 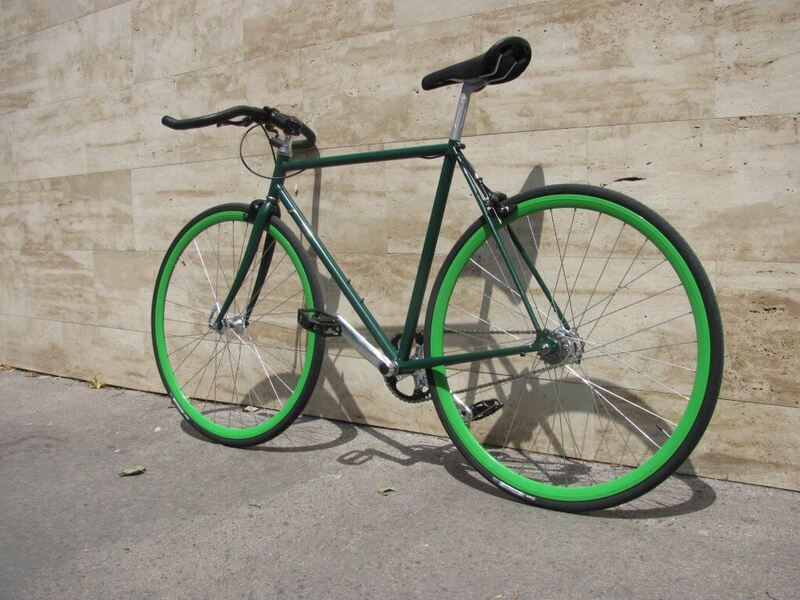 Fixed-gear bikes, also known as track bicycles, another best bike , are next on our list. 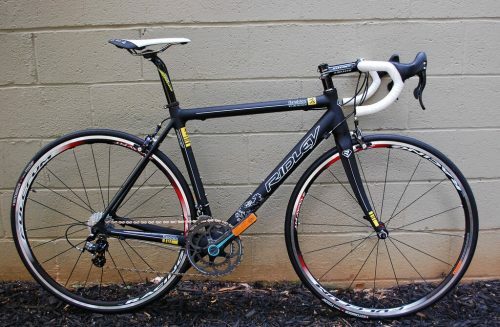 If you have access to your very own velodrome, you may be in search of this bike. While you can ride this perfectly well if you’re a commuter, you may not want to have this bike if you’re known as ‘coaster’ – someone who doesn’t always want to pedal. In fact, riding this bike means you must be pedaling at all times. Many times, you’ll see more seasoned riders of this style for bike riding without brakes of any sort, since the mechanism that makes this bike “fixed-gear” can act as a brake of sorts. You may see this bike commonly with handlebars that are dropped, but you may also see some with a set of upright handlebars or flat. 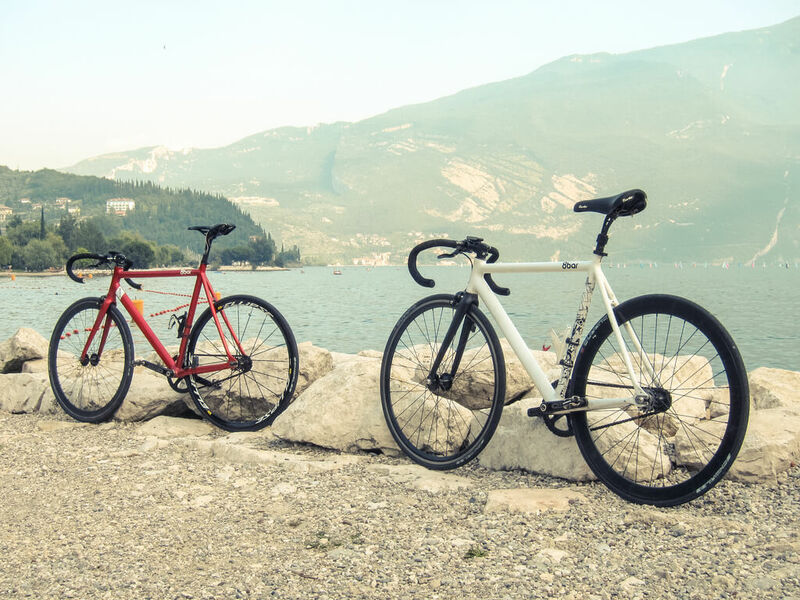 Besides mountain bikes, the fixed-gear bike may be the more well-known on this list, even though there are people that may not have ever ridden this style. In short, a fixed-gear bike is one that doesn’t have a freewheel of sorts, and normally, there are no brakes because of the lower fixed fear. If you want something that doesn’t have any coasting capabilities, you might want to check into a fixed-gear style of bike. It’s worth mentioning that you should be ready for the haters to come out, as there’s no in-between with riders: they either love or hate the style of bike. For trend or for their own reasons, it’s a well-known battle in the world of bicycles. The wheels of a fixed-gear bike do not allow the rider to spin the wheel separately and independently of the cog, like a bike that features a ball-bearing system. When pedaling forward, your bike is going to move forward regardless. If you are going to pedal backward, your bike will inevitably move backward. Typically, there aren’t a plethora of types of mountain bikes, but you may see variations; however, we’re only covering the one style of bike: the typical mountain bike. Typically meant for off-roading, the aforementioned type of bike has a style of handlebars that are upright instead of downward, and they have a type of gear range that is considered lower. The reason for the lower gear range is because the mountain bike needs pedaling up hills that are steeper. It’s no secret that mountain bikes have installed shock absorbers or a type of suspension for optimal riding with this style of bicycle. While you’re fine with commuting with this bike, you should also note that the frame of this bike typically isn’t lighter, and is heavier for those that want a durable, mountainous ride. Of course, there are freeride mountain bikes, downhill mountain bikes, and much more. Those that are downhill mountain bikes are ones that are specifically meant for rough terrain that goes downhill (although that wasn’t hard to figure out). 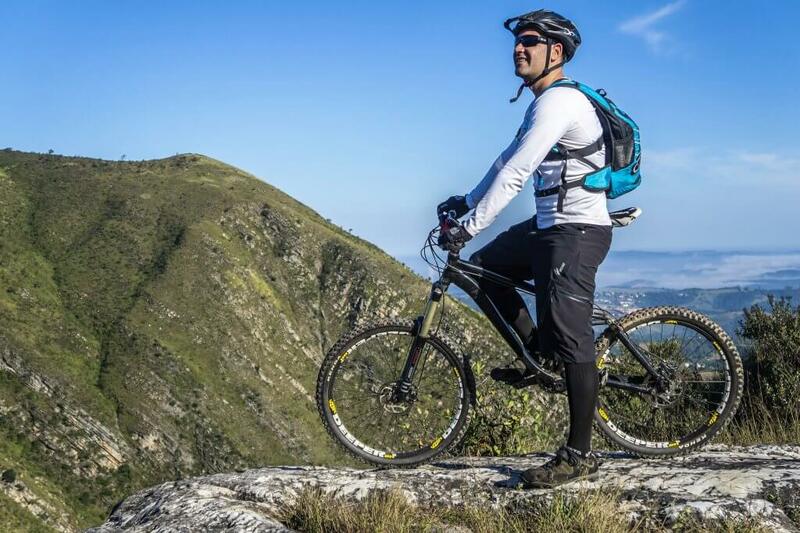 Those that like to bike upwards and go down even harder will find solace in the downhill mountain bike, although it’s worth mentioning that you should be purchasing a downhill specific mountain bike, instead of thinking you can get the best out of a typical mountain bike. While a normal mountain bike may work just find for your downhill adventures, look into a downhill specific if it’s something that you participate in often. You may have also heard a mountain bike is referred to as an all-terrain bicycle, much like an ATV (all-terrain vehicle), or the ATB acronym, but if you’re a connoisseur of bicycles…well, you probably wouldn’t be reading this! Form your own opinion based on your experiences and terrain-specific bicycles. Road bikes and mountain bikes combine and intertwine when you’re introduced to the world of hybrid bicycles. Because of their more comfortable seats that re-padded, and a normal handlebar height, those that ride on the hybrid bike have a much more comfortable time – especially if they have qualms with these features on other bikes. If you want something that’s for casual riding, you’ll want to indulge in this style of bike, as they’re perfect for errands, commuting, or casual usage. Whether the road is paved, or unpaved, you typically shouldn’t go off-roading with this bike, and you won’t have the performance of a racer on paved roads with this bike. Providing a somewhat smooth tread and a style of tire that’s medium-width. 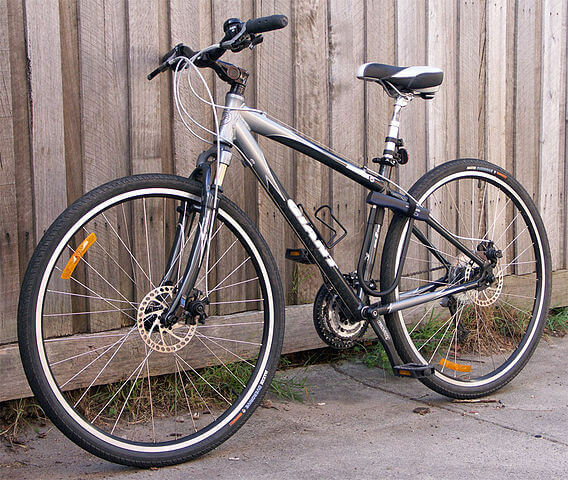 Next on our hybrid list is the performance-hybrid bicycle. If you want something that has the versatility of quite a few bikes on this list, but something that has a much more aggressive riding position or style of frame and architecture, you may want to look towards this bicycle. While the handlebar set is not as upright as the typical hybrid bike, they have a performance oriented design that ensures the optimal hybrid aspect. Whether or not the bike has front suspension depends entirely on the manufacturer and the individual design of the bike. If you want the most comfortable and padded seat, you won’t find it here, although it may be just fine for seasoned riders. As we mentioned the geometry of the bicycle, the architecture of this relaxed geometry styled bike is important. The short top tube that you may be able to identify, and the tall head tube are giving the rider a more upright riding position that’s much more relaxed and allows a reduction or complete elimination in strain on the shoulders, neck, and back. It’s also worth mentioning that just because you buy a hybrid bike, that doesn’t mean you’ll do well on all sorts of terrain. In fact, there are some performance hybrid bikes that sit more like a mountain bike, and there are others that sit more like a road bike. You should do your research to ensure that you’re going to receive the exact bike you plan on using. Next on our buying guide is a style of bike that’s dubbed as a style of cruiser bike. Typically similar to the aforementioned set of hybrid bikes, they are more for the ones who want a comfortable ride, as their seat is much larger and has more padding. If you have seen those modern vintage bikes with the large and cool tires, then you want to check out this cruiser bike, as they feature the wonderful type of tire known as “balloon”. You should know that typically these bikes are fine for errands, can feature a basket for holding things, and are great for flatter surfaces. We don’t suggest that you use this bike for off-roading by any means, and they’re typically either a single speed or a 3-speed style of bike. Much more comfortable than others and typically a better design, you’ll see a variety of color ranges and design styles for the modern cruiser bike. Clearly based off of vintage bikes and not meant for any racing of sorts, they do exactly what their name says – they cruise, and they do it well! Flat-foot comfort bikes are next on our list and are a style of cruiser bike. You may be wondering what the difference between flat-foot and cruiser bikes are, especially if one is within the category of another. For starters, the design of the aforementioned flat-foot bike is similar to the cruiser, and the design is much more elongated so that the pedals are forward from the seat of the bike. Having this ensures that you can ride comfortably with the seat low, and you’ll have somewhere to place your feet without having your knees up to your chest. You’ll also receive an extension of your legs that is full when stopped or pedaling. Most bikes from the Electra company, if not all, have this style of technology, and there are companies that have even followed in the footsteps (pun intended) of the Electra company and have created their own flat-foot technology. However, if you’re someone who is an enthusiast of riding and pedaling while standing up, you may not want something that provides flat-foot comfort. You should also know that aerodynamics aren’t huge with a flat-foot comfort bike, but it’s great for those that can be used on trails and pavement with ease and optimal comfort in comparison with those that can ride on those terrains, but without comfort. Most cruiser bikes are Electra, especially those that claim they are flat-foot, as the technology had been patented by Electra themselves. Also known as a European city bike, they are typically designed for moderately paced rides that are short, frequent (or non-frequent – it’s not a requirement!) and those rides that are in the flatter areas of the urban areas. Composed of architecture that is done via stable geometry, the handlebars of a city bike are typically angled-back instead of those that are downward or upright. You can also carry some sort of load with this back, and you may see that a lot of the seats on this style of bike are saddle and may resemble one of the cruiser bikes we mentioned above. Great for year-round usage and even multi-purposes, this type of bike may come with front suspension, headlights that are built-in, skirt guards, chain guards that are fully enclosed, mudguard flaps that are also full fenders, and much more. The riding posture of the aforementioned is known as “erect” and doesn’t have the rider hunched over or anything – and their elbows won’t become exhausted. Next on our list a type of bike that many people are well-versed in (at least the awareness of the bike). 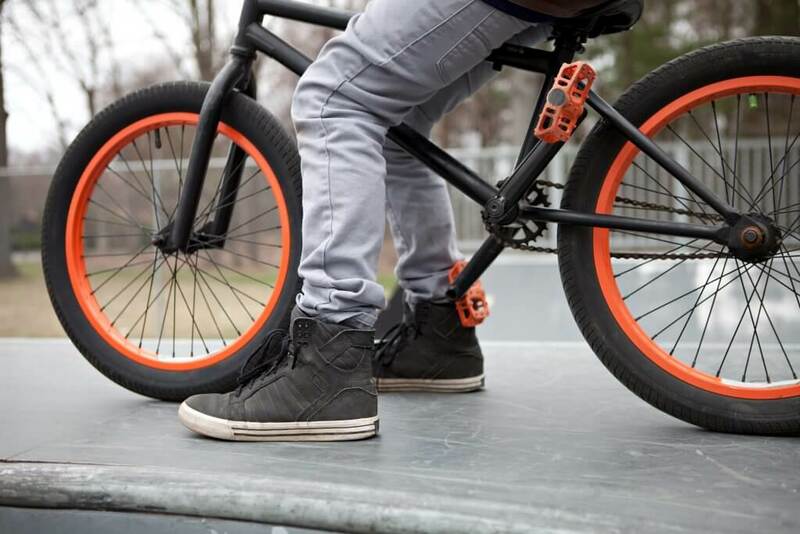 The BMX bike is a small best bike that’s popular with teens or those that are interested in the sport of BMXing. Normally, you wouldn’t ride this bike in the city for commuter purposes or racing purposes, but they’re made smaller to deal with the stunts that BMXing typically entails. Made for stunt riding of sorts, along with trick riding, the BMX bike is a much smaller frame, and those that are taller will find that this bike will not suffice for casual riding. While it’s noted as an off-road sporting bike, we don’t suggest trying to ride smoothly and casually with this bike. Also known as a freestyle bike, you may see the riders in the Dew Tour riding on this style of bike, and if you have seen that, you may have noted the smaller frame with the handlebars being higher than the seat. Typically, no matter your height, your bottom end sits much lower and your legs will inevitably fold up because of the overall heights. Those that are shorter may have a better time riding this casually, although we don’t suggest that for this bike, as you may hurt your posture. BMX also stands for motocross if you were completely oblivious (don’t worry, many people are when it comes to this terminology, as they’re so used to hearing it as BMX.) While you may know that these bikes are meant for trick stunts and rides, the construction of these types of bikes ranges from low to high end. Lower end bikes are made of cheap aluminum or steel, while higher range bikes are typically made of high-tensile steel, and chromoly. Although, these materials see a heavier bike than those that are not composed of such materials; however, those that aren’t as heavy may be greater for aerodynamics because of the lack of weight. You might hear discussion of hubs when you’re getting more involved with bmx bikes, and it’s worth mentioning that those that are gearing hubs that are lighter will have better clearance and grinding when using, although there are definitely disadvantages depending on the rider you’re going to become (or the rider you are). Freewheels that are extremely small, and around 8 teeth are not what most riders prefer, in fact, most prefer something a bit larger, as they aren’t as consistent as the extremely popular cassette hub. Those that are composed of 8 teeth typically become more jammed than those that have more. You may have heard the term recumbent when you’ve purchased or looked for an exercise bike in the past. In short, the position and style of the seat is what mostly makes it recumbent, as well as the length. The long and low design of the standard recumbent bike also comes with a padded seat that features a bake rest for those that want to relax as they cruise. 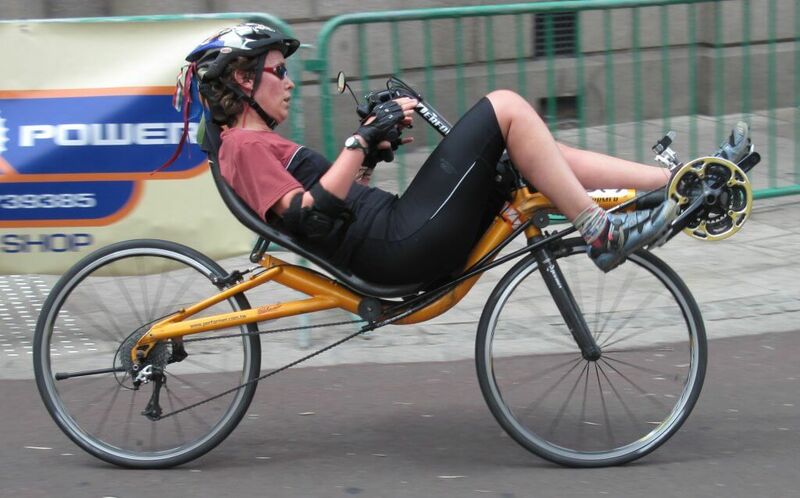 If you’re curious about the variations in designs, it’s worth mentioning that there are recumbent bikes that are seen with a tri-wheel setup, as well as a normal bicycle wheel setup. If you have a lot of uphill pedaling to accomplish, you may not look for this style of bike, as you won’t be able to pedal successfully (or comfortably) up the hill with a recumbent style. 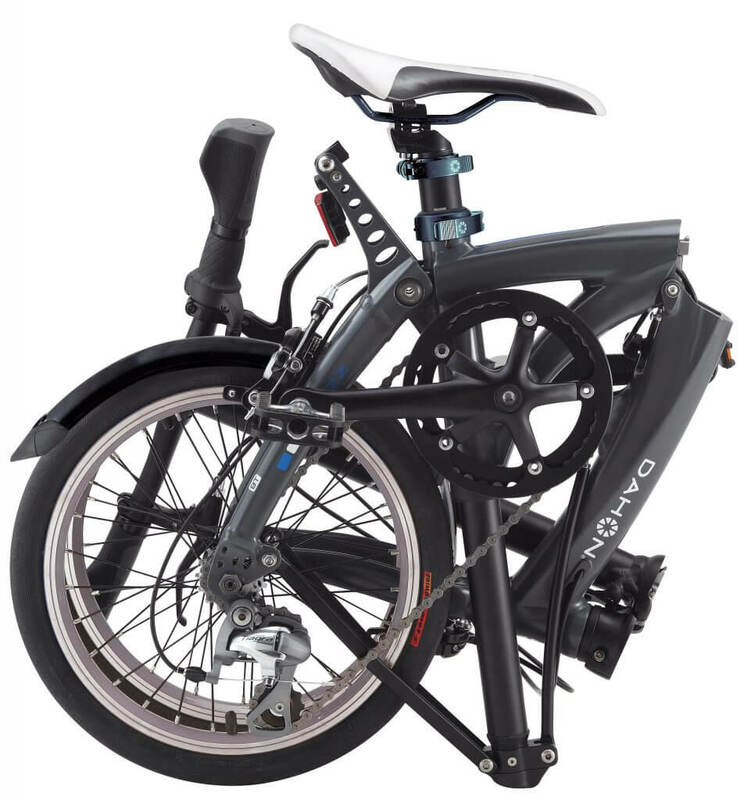 It’s worth mentioning that they aren’t as light or portable, either, so for those that must carry their bike places, you may want to look towards something more comfortable and ease to transport like the folding bike. Haven’t you ever seen those typical “romantic” bike in the movies, or those that are meant to bring two of the main characters that hate each other together in a loving fashion? The tandem bike is a double seat set up where both people pedal in order to make sure the bike moves. While there are only two wheels, both seats have an accompanying set of handlebars that aren’t downward and are in a straight forward fashion. There is enough clearance between the pedals so that you don’t hit each other as you pedal. While they come in all styles, most of them are in the cruiser genre, and they even have tandems that are hybrid for boardwalks, piers. There are also even off-roading tandem bikes that are dubbed mountain bikes, and even some that are high-performance. 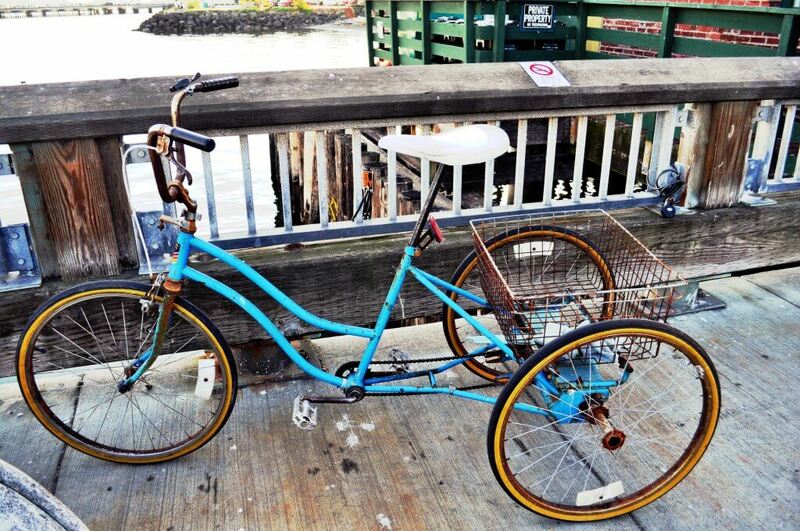 While they aren’t ideal for those that want to use bikes for fitness on their own (and quite frequently), they are great for those people that want to relax and hit up the boardwalk together while getting some form of exercise – plus, it’s a sight to see! You may be thinking to yourself, “really? An adult tricycle? Why is this on the list?” For those that want comfortability without the worry of balancing, the adult tricycle may definitely be for you. Whether you have vertigo or another type of balance issue, a trike will ensure that your balance will now skew and cause the bike to crash. In fact, the three-wheel design makes it so that many people can get their balance on track much easier. With the comfortable position of the normal handlebars (not downward or upright) and the inclusion of a padded seat that’s large and in charge – you’ll have no problem navigating with this. Beyond the aforementioned, you’ll also have a basket in the back to help you carry your things from one location to the next. Whether you’re elderly or you know someone with special needs, this bicycle may definitely be the solution for safe exercise. A great option for those that are environmentally conscious or those who are working as a delivery person in the city, you’ll be able to carry large loads without breaking or harming the frame, as the distribution of weight amongst the wheels ensures security, balance, and safety.